five working days prior to the event to ensure appropriate arrangements. The 5 Browns are delivering on their dream to wake up classical music by introducing it to the widest, largest and most excited audience they can find. Whether performing individually or together in various combinations from duo to complex five-piano arrangements, The 5 Browns reveal a deep connection to the intent of their material while bringing a fresh energy and dynamic character to the color and tonal spectrum of their sound. This is an extraordinary piano program with FIVE Steinway concert grands on stage. A solo, two duets, two full ensemble pieces. These five siblings are not only a compelling and attractive musical ensemble—each is Juilliard-trained and they are Steinway artists—but they’re actively involved in advocacy, and are the subjects of a pending documentary film. Alexander Woods, Violin with his father, Rex Woods, on piano. 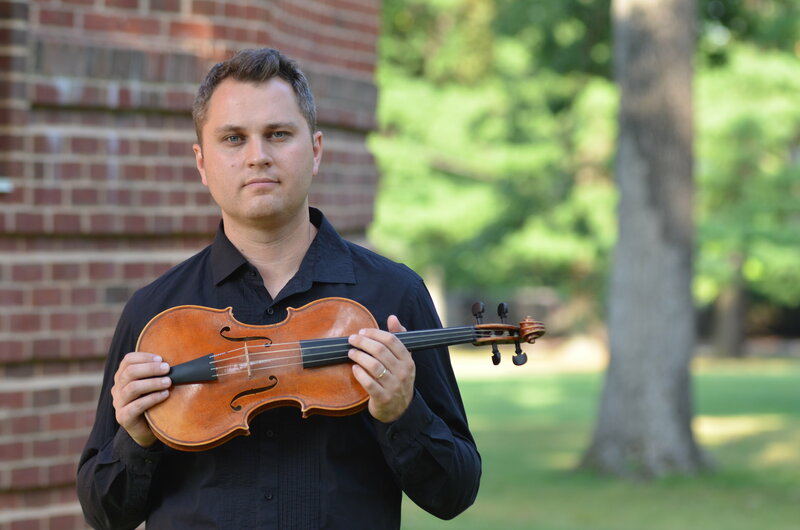 Alexander Woods, violin, has been hailed by the New York Times as both a “showstopping” violinist as well as a “deft and sensitive accompanist.” He has studied with many of the world’s great violinists and pedagogues, including Pinchas Zukerman, Itzhak Perlman, Syoko Aki, and Mark Rush. Alex is on the faculty of Brigham Young University. His CD, Corelli's Influence: virtuoso works for baroque violin was recorded here at Drew and released in 2016 by ACIS Records.